A grease interceptor, or grease trap, acts as a receptacle for the collection of fats, oils and greases (commonly referred to as FOG) from used water. Set between sanitary sewer lines and restaurant drain lines, the grease trap/interceptor separates the FOG from the used water in order to keep the FOG from joining the municipal sewer system. 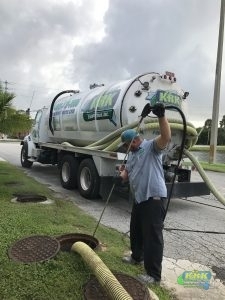 KRK Enterprises, Inc. provides Fort Pierce and Port St. Lucie, Fl and all of Florida with extensive, expert grease trap services, including maintenance and repair! Clearing Out Your Grease Trap Is A Plumbing Necessity! Grease trap maintenance is crucial in keeping any business proceeding as a smooth operation. 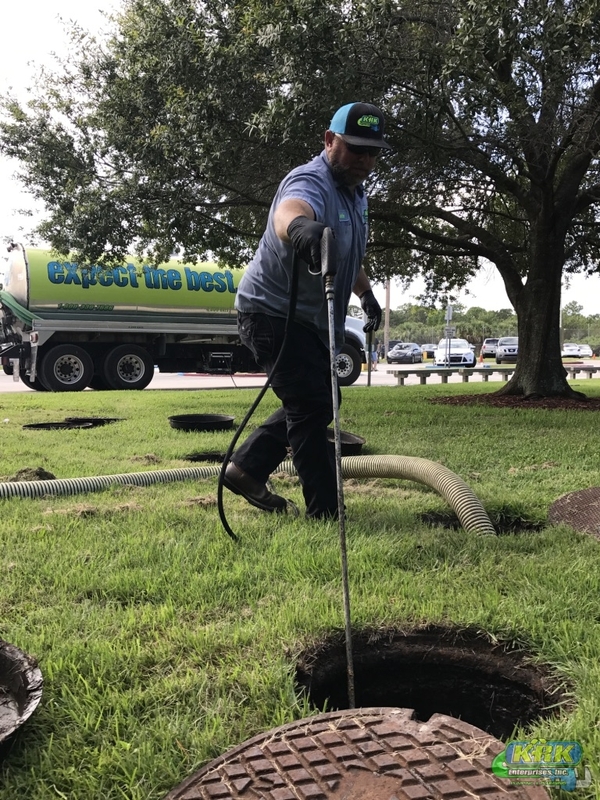 Whether it is located outside of the establishment or inside, large restaurants or kitchens – such as those found in schools – generally maintain a larger grease trap outside, set in the ground, and smaller interceptors inside. If the FOG substances collect heavily and go un-monitored, then backups and blockages are a sure result. 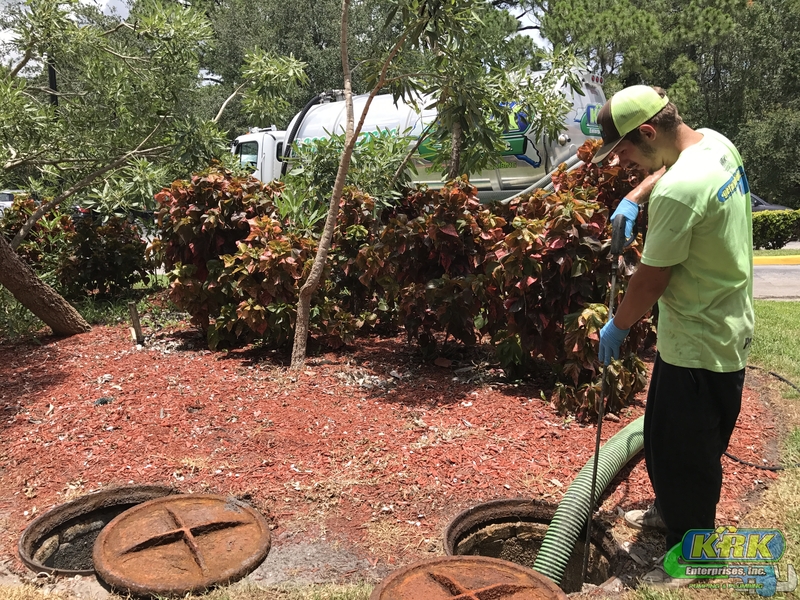 This can mean foul odors, major issues with your overall system adding up to costly repairs, plus the added large fines you’ll get after too much FOG has built up and gets dumped into the city sewer lines. A grease trap maintenance routine can easily mean controlling the FOG build-up, reducing the need for pumping. Staying Cost-Effective & Up To Code! 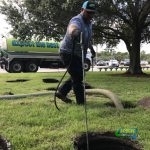 Grease trap maintenance is performed by our professional maintenance staff. 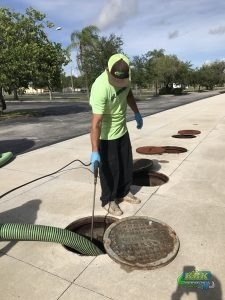 Grease interceptor maintenance consists of removing the entire volume (liquids and solids) from the GI and properly disposing of the material in accordance with all Federal, State, and/or local laws. When performed properly and at the appropriate frequency, grease interceptor and trap maintenance can greatly reduce the discharge FOG into the waste water collection system.